Deep inside the Sierra Madre mountain range about 60km (37 miles) east of the Philippine capital of Manila, distance is measured in river crossings. It takes 13 crossings – a rocky journey by motorcycle, jeep or boat – from the administrative centre of the Santa Ines district to reach the remote area known as Sitio Nayon, the ancestral lands of the historically nomadic Dumagat tribe. Even by jeepney, the ubiquitous open-backed passenger truck, the journey takes an hour. Despite the distance, dozens of anxious villagers came together at the local community hall one afternoon to speak out against what they see as a looming threat to their way of life: the China-funded Kaliwa dam. The Dumagats fear that the 12.2 billion peso (US$231 million) mega dam, being built to augment water security for rapidly urbanising Metro Manila will displace them from the lands they have called home for generations. While the government projected that only 56 families would be directly displaced by the dam, villagers are concerned about the unknowns: a lack of information from the government, the potential environmental and flooding impact, and the prospect of approval for bigger dams in their river basin. Across the affected areas of Quezon and Rizal provinces, indigenous peoples have geared up for a long fight. It is a battle that has been raging for nearly four decades – starting in the late 1970s, when the project was first conceived during then strongman Ferdinand Marcos’ dictatorship. In late November, the dam officially got the go-ahead to proceed when a loan agreement and commercial contract were signed during Chinese President Xi Jinping’s high-profile visit to Manila. Twenty-nine deals were signed during his trip, marking the rapprochement between the two countries under the administration of Philippine President Rodrigo Duterte. The Kaliwa dam has been both a priority for China in the Philippines and a flagship water project for Duterte’s “Build, Build, Build” programme. Officials aimed to break ground quickly to allay concerns about the security of Manila’s water supply and the length of time it is taking the promised Chinese funds to come through. The dam will supply an extra 600 million litres (158.5 million gallons) of water per day to Metro Manila – the seat of government and one of the three defined metropolitan areas of the Philippines. It was approved for construction in May 2014 by the National Economic and Development Authority and is the first phase of the broader New Centennial Water Source project, likely to be followed by the larger Kanan and Laiban dams. 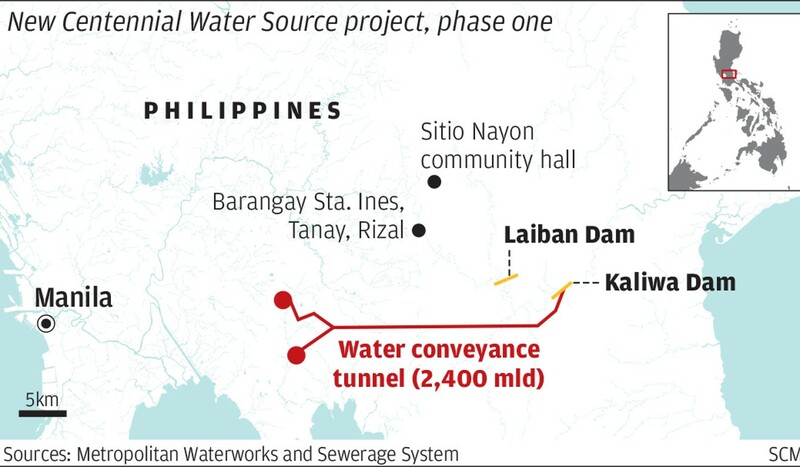 All three projects will stem from the Kaliwa-Kanan-Agos River Basin, with the Kaliwa dam set to be built in eastern Quezon province and connected to Metro Manila through neighbouring Rizal province by a 27.7km water supply tunnel, capable of conveying 2.4 billion litres per day. Chinese funding was earmarked for the Kaliwa dam as part of the US$9 billion in pledges that Duterte secured from Beijing in 2016. The Chinese government has poured funding into megaprojects around the world, in what observers see as a concerted effort to expand the country’s global presence and influence. Projects funded by Beijing have drawn criticism for laxer lending standards, and raised questions about transparency and the involvement of state-owned contractors. But Duterte, known for his anti-Western rhetoric, welcomes Chinese trade and aid, including Beijing’s support for his bloody war on drugs. For the Kaliwa dam, the financing model is official development assistance from China, switched over in June 2017 from a public-private partnership. The Export-Import Bank of China, the state-owned provider of export financing, will fund 85 per cent of the project, with the Metropolitan Waterworks and Sewerage System footing the rest of the bill. 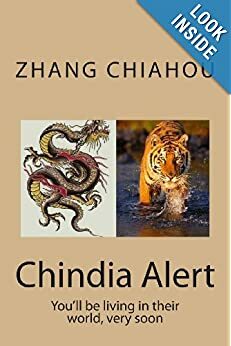 Under the official development help model, the Chinese embassy in the Philippines recommended three Chinese companies for the dam. State-owned China Energy was formally awarded the contract in August. Construction is expected to begin next year and finish by 2023, but Velasco has asked the Chinese contractor to finish the dam before Duterte’s term ends in 2022, joking that he would hang the company’s country manager from a large tree if it was not finished in time. “I already put out the rope for him – I’m just kidding,” he said in his office. “I’m asking them, because it is a big giant company in China, to do it earlier, before my president steps down … It’s possible. They have the technology. We have vetted their capabilities, and we agreed that they should work 24 hours [a day]. Globally, concern has been growing about the potential “debt trap” lurking in Chinese development projects. In the Philippines, worries are compounded by a 2007 government kickbacks scandal with a Chinese telecoms company, and by historic tensions from overlapping claims in the energy-rich South China Sea, waters that Manila refers to as the West Philippine Sea. So far, foreign direct investment from China accounts for only about 3 per cent of the Philippines’ total, lagging far behind countries such as Japan, the United States and Indonesia. But Chinese capital has been flowing into the country rapidly, nearly doubling in the first three months of this year. In 2017, Chinese investment in the Philippines surged 67 per cent from a year earlier to US$53.8 million. Will China-backed dam wipe out this great ape forever? Chinese foreign ministry spokesman Geng Shuang said in late November that it was impossible for the Philippines to fall into a “debt trap” from accepting China’s loans, since those borrowings made up only a small amount of the country’s total foreign debt. One much-touted Chinese investment is the US$62 million Chico River Pump irrigation project. Led by the Philippines’ National Irrigation Administration, the system will provide “a stable supply of water” to around 8,700 hectares (25,000 acres) of agricultural land, benefit 4,350 farmers and their families and serve 21 districts in the northern Luzon provinces of Cagayan and Kalinga, according to a government report. Although originally envisioned as a dam, it was eventually scaled down to a river pump amid decades of local resistance. “It’s only our current president who likes China. Before, it’s always the US [with whom the Philippines had close ties], right?” said Ricardo Visaya, administrator for the National Irrigation Administration, which also provided technical consultation for the Kaliwa dam. Velasco, from the Metropolitan Waterworks and Sewerage System, said debt would not be an issue for Kaliwa. The Chinese contractor, following Velasco’s instructions, would also hire Filipinos for non-technical jobs to spur local development, he said. China Energy did not respond to multiple requests for comment. 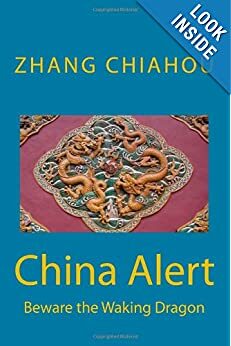 The Chinese consulate in the Philippines declined to make ambassador Zhao Jianhua available for an interview, and did not respond to specific questions about the Kaliwa dam. The dam is intended as a medium-term solution to Metro Manila’s water security, supplementing the Angat Dam, which provides most of the city’s water. According to the waterworks and sewerage system, water supply levels for the city are 7 to 10 per cent above demand, and planning ahead will avoid the need to substantially raise consumers’ water tariffs. International entities such as the World Bank and the Manila-based Asian Development Bank (ADB) are also working with Metro Manila on its water security programme, with ADB financing the Angat water transmission project and providing consultation for the Kaliwa dam. “We are helping them [on Kaliwa]. That project was there, even before, but we will be continuing our assistance on the strategy – technical assistance,” Ramesh Subramaniam, director general of Southeast Asia for the ADB, said. But Philippine environmental and rights groups have disputed the need for the Kaliwa dam, pointing to alternatives such as greater adoption of green water catchment – the collection of rainwater – as well as improving water efficiency in existing pipelines and using smaller-scale water sourcing projects. They argue the dams of the New Centennial Water Source project could increase the risks of flooding and damage to 28,000 hectares of forest, while displacing at least 30,000 mostly indigenous people. “We’re questioning the logic of a water project that will contribute to the degradation to the forests of the watershed,” said Leon Dulce, national coordinator for the environmental advocacy group Kalikasan. Alternatives existed that “do not require this scale of risk”, he said. Dulce and others warned that fierce opposition and action from local governments and communities in Quezon and Rizal could stall the project. That action could include petitioning the Philippines Supreme Court to grant a Writ of Nature against the dam to protect a constitutionally guaranteed right to a healthy environment. Though government officials such as Velasco call the dam a “done deal”, indigenous communities on the ground are not likely to budge because the stakes are so high. Ramcy Astoveza, a Dumagat member of the National Commission on Indigenous People, said the law ensured indigenous communities in the Philippines to the right to free, prior, and informed consent, or the power to approve or disapprove any project in their ancestral domain, including the Kaliwa dam. The commission would facilitate the process for the government to obtain consent of the Dumagat-Remontado in Tanay and General Nakar, Quezon, he said. Also in Santa Ines, more than 100 villagers gathered on a Saturday morning for mass at the local Catholic Church, where leaders introduced a resolution to oppose the dam and assert the people’s rights to their ancestral lands. Is Xi’s Manila trip the start of a golden age for China, Philippines? After a detailed explanation of the implications of the project from Jennifer Haygood, senior researcher from the Ibon Foundation, an independent think tank, the priest asked people to stand if they opposed the dam. Everyone, young and old, rose in the narrow wooden pews. “At the end of the day, we just have to fortify our local community’s defences,” Dulce said. Several river crossings away, at the Sitio Nayon community hall, dozens sat among shelves of donated books to air their grievances and fears. Just outside was their coveted river, and around the bend unpaved paths littered with slabs of rock. All around were long stretches of greenery that bled into the rugged outline of the Sierra Madre: balete fig trees, heartleaf plants, coconut trees and dragonfruit plantations. Another elder, a septuagenarian known as Loida, recalled travelling into the city to protest when she was younger. But she has since passed the baton to her grandchildren. As she spoke, she turned to her fellow villagers, her voice steady but her tone urgent. “I have not spoken to President Duterte personally, but he promised he would support us indigenous people,” she said. “But what is he doing now? He wants us to drown.